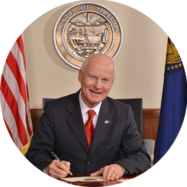 SALEM, OR — Today, Secretary of State Dennis Richardson began a first of its kind pilot program, utilizing Facebook to reach Oregon voters listed as inactive and notify them that they need to update their registration to receive a ballot this November. “Recent digital advances have created voter outreach opportunities never previously imagined,” said Secretary Richardson. “Facebook’s robust capabilities will allow us to communicate directly with inactive Oregon voters and encourage them to update their registration information to receive a ballot in November. “We want to extend every opportunity for Oregonians who are eligible to vote to be able to vote." 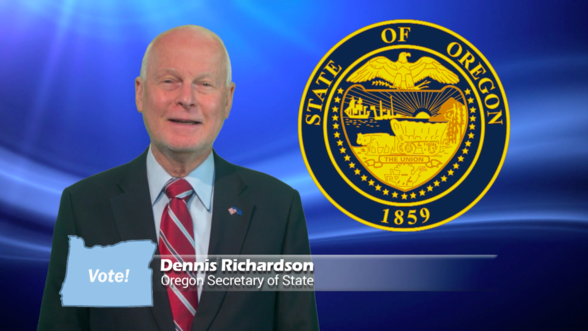 The video outreach features Secretary Richardson speaking directly to Oregon voters who have been listed as inactive, notifying them of their inactive status and encouraging them to update their registration to receive a ballot in the mail. The announcement will run exclusively to residents on the Elections Division’s inactive voter list. Outreach began today and will run until the voter registration deadline on October 16, 2018. PHOTO: Screenshot of Secretary Richardson outreach video. Consistent with Secretary Richardson’s emphasis on fiscal responsibility, the total cost of this innovative outreach effort is expected to be less than $5,000. This pilot program builds on the work that Secretary Richardson has done to expand online voter registration to additional languages and using phones, tablets, and other mobile devices. In April 2017, Secretary Richardson launched a major expansion of voter access in Oregon through an administrative rule change that protected the voting rights of more than 60,000 Oregonians who would have otherwise been classified as inactive and would not have received a ballot in the mail. Secretary Richardson also used Facebook’s Live Stream feature earlier this year to announce preliminary results for the January 23 Special Election in a bid to engage younger voters.